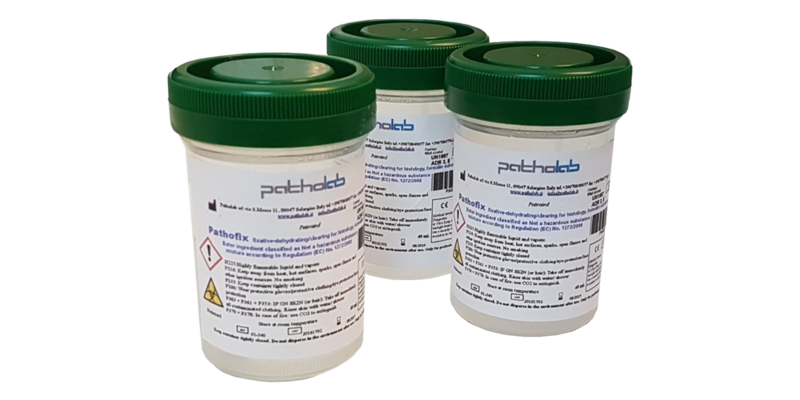 PATHOFIX BOX is a pre-filled container of innovative fixative for histology with a green molecule substitute for formalin, which at the same time dehydrating and clearing small tissues, accelerating and simplifying the procedure of fixation and processing. Absence of any aldeide or dialdeide and hydrocarbon derived from petroleum. Patented in Europe, USA, China, Canada and Japan.